ClearCom har utvidet Eclipse HX-familien med et Dante-kort, så nå kan man få opp til 64 bi-direksjonale kanaler med low-latency. E-DANTE64-HX er AES67-kompatibelt. 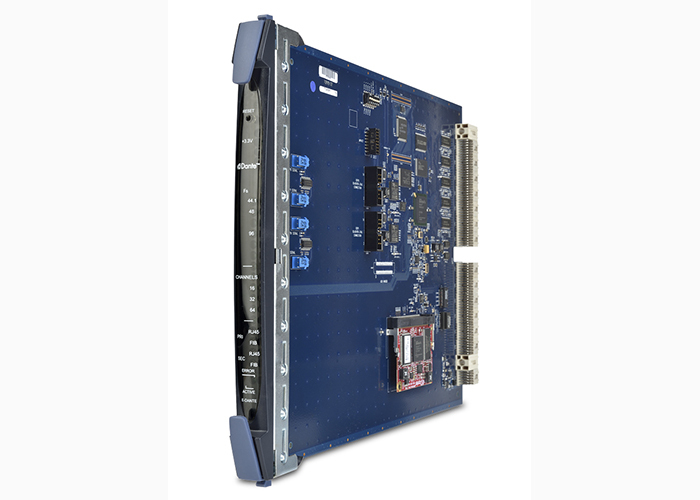 The E-DANTE64-HX Card provides an Eclipse HX matrix system with 16, 32 or 64 bi-directional channels of low latency, high quality DANTE AoIP interfacing. Additionally, the E-DANTE64-HX card supports AES67 compatibility for use when DANTE is not available. The Eclipse HX Configuration Software (EHX) can enable intercom panels to display each Dante Controller channel label or the label of the current audio source routed to the channel.